Its Sunday the 30th September and it’s time for my monthly task of going through my huge sock box and pairing up all the odd socks. I am now down to barely two pairs of actual socks in my sock drawer and yet have a huge box full of Brexit inspired socks declaring independence and wanting to go it on their own. My lifelong constant battle with socks has been lost and I have caved in all semblance of winning the fight and I simply nowadays just wear odd socks from the odd sock box, on the basis no one notices, and if they do, I actually no longer care. 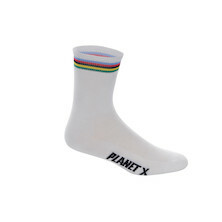 As owner of Planet X I have also spent the previous day looking at our rather slim stock file analysing where we need to reduce our inventory and am a touch alarmed to find a colossus of a mountain of socks out of all semblance with reality. 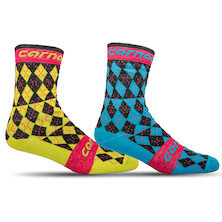 A quick calculation reveals a smorgasbord mix of over 100,000 socks in stock plus another 50,000 arriving in the next month. Admittedly this is my fault because I bought them, on the basis “you can never have enough socks” and “people will always have feet”, but there is no doubting I have totally lost the plot this year in buying socks and we need to do something. 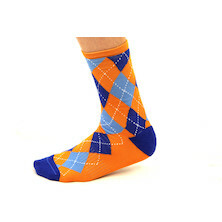 So it is time to launch the Salt-n-Peppa “Lets talk about Socks Baby” massive October sale where we want to clear our 100,000 socks in designs so good, materials so fine, and prices so low that you don’t have to do the Sunday sock box challenge. Spinderella Cut it up one Time. 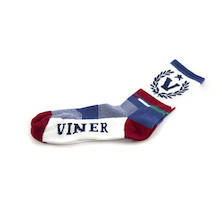 LETS TALK ABOUT SOCKS BABY. 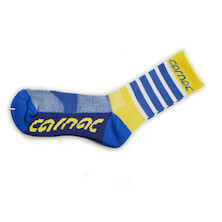 It’s our longest standing and best selling sock and a bit of a cult classic. 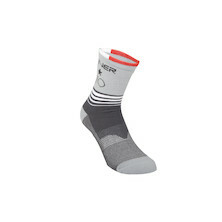 Favourites for winter riding as they are toasty, merino socks have the nose benefitting quality of being odour free (relatively). Be quick though we only have 17,000 pars in stock, and another 18,000 arriving later this month in new designs - so I am sure they will be sold out in a matter of minutes, remember almost everyone has feet so you don’t want to miss out, plus if you have minging foul smelling ones do everyone's nostrils a favour and load up on these. I’ve dropped ‘em all to a flat 3 quid for the month of October, they have never been that price before and never will again. 2/ Made in Sutton in Ashfield Merino Socks. The story of Roy and Ben Lowe. The story of Roy Lowe is a great one, Roy is the grandfather of Ben, Ben now makes our UK made merino socks for us in Sutton in Ashfield near Mansfield. Roy spent 50 years working in the same sock factory in Mansfield. The sock factory was at the end of the road where he was born and raised. He started straight from school and spent the next 50 years there in a remarkable journey working his way up from as he himself termed it “general dogsbody” to yarn boy to eventually in the 1950s Managing director of Samuel Eden Sock company. At the height of its success with Roy at the helm in 1993 the factory employed 400 people and had a turnover of 16 million. 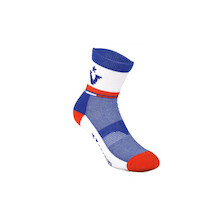 After Roy passed away UK manufacturing was ceased in 2006 and transferred overseas, where it remained until grandson Ben joined the family firm and in 2012 he successfully reintroduced UK production manufacturing high performance technical socks in the UK. 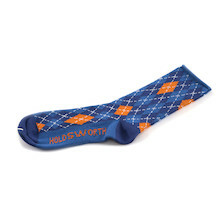 Now as UK company, driven by customer demand, I have to say I am somewhat mystified by our “made in Mansfield” socks. 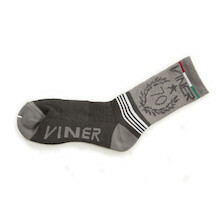 They have consistently been outsold by Italian made merino and Chinese made merino socks - which I honestly just don’t understand although admittedly our content might be to blame as we are hardly selling the sizzle in this sausage. The product is as good as it gets - they are made in the UK by good spuds in Mansfield. Technically great, but just haven't sold through very well. I do not get it but maybe our customers do not care about Mansfield and slightly cheaper imported socks are their choice. 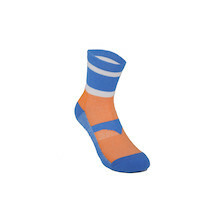 These are a great great sock, same odourless merino features as the thicky best sellers, slightly higher on the calf and a much better all year round sock. As a final effort to see if our customers are interested in buying British, supporting UK manufacturing, let drop 'em to 4 quid each, if they fly out we will buy more from the UK and go see Ben again. You know it makes sense - Buy British, let’s support Ben and his efforts. 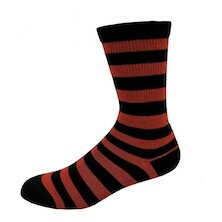 Four quid for a UK made merino sock, only 1134 pairs left. 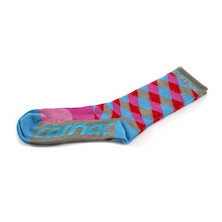 This is the sock that we do huge volumes in. Sorbtek fibre is a breathable, moisture wicking technology designed to keep you cool dry and comfortable. 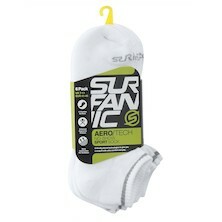 - allows for quicker drying with permanent moisture management technology. 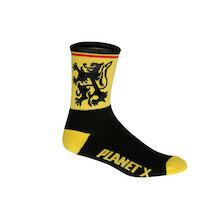 In short it’s the perfect fabric for our socks, totally nailed on, they are a little bit thicker and more plush than Coolmax so nice and warm, great all round sock all year sock.. 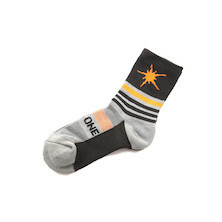 The only issue we have is a founder with low self-control who has decided that “everyone has feet” and “you can never have too many socks”. 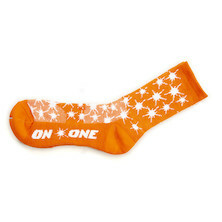 and we have a rather healthy 47,000 pairs of socks spread over 28 different designs. All at a flat two quid. 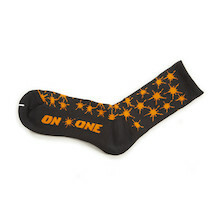 Plus an added special of QUID SOCKS - 9 designs just aren't selling - so they are the Socktastic deal of the year all at a quid. Be quick though, surely all 47000 pairs will only last a few hours at these prices. 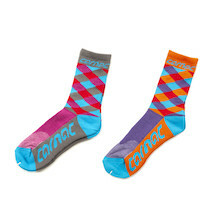 Coolmax is the classic sock material, used for years and pretty much the benchmark for cycling socks. 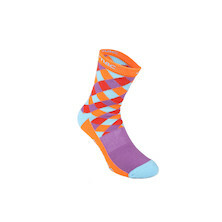 Highly wicking, great all year socks especially if you prefer a not so thick sock..
Our merino thickies and sorbtek socks are both supremely comfortable but the coolmax socks are thinner and top level high performance sock. 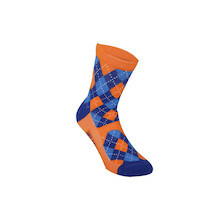 Again 15 designs is probably too many, and a stock level of 30,000 socks is a little hefty but remember “you can never have too many socks” and “everyone has feet”. 7 designs at only 1.50 is just silly, and the rest at 2 quid. 5/. How can we do it? These prices are crazy! 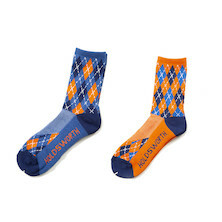 Make no mistake our socks are great but you might ask “how can we do it” at such amazing value and incredibly low pricing? Of course, the answer lies in our business model where we buy direct from our factories and sell direct to our customers. We truly have no middlemen. We buy big and sometimes totally without fear as you can see by our ridiculous stock levels, There is always the cases where we get a bit too carried away and due to a clown in charge of purchasing great pricing becomes exceptional, a unique perfect storm of business model, direct to consumer mixed with total purchasing incompetence. It’s a socktastic salt n pepa sale. 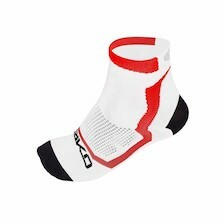 Lightweight, short cuff, superfine knit cycling socks from Briko. 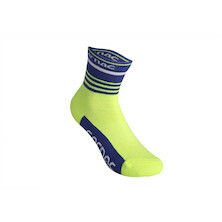 Low cuff sprinter socks, with a superfine knit and hard wearing fibre belnd these are simply superb.